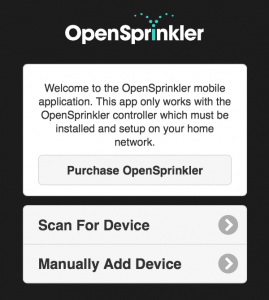 In this blog post, I will walk you through the basic steps to set up and use the OpenSprinkler mobile web app developed by Samer Albahra. I’d like to thank Samer for making this app available, and credits should be attributed to him. 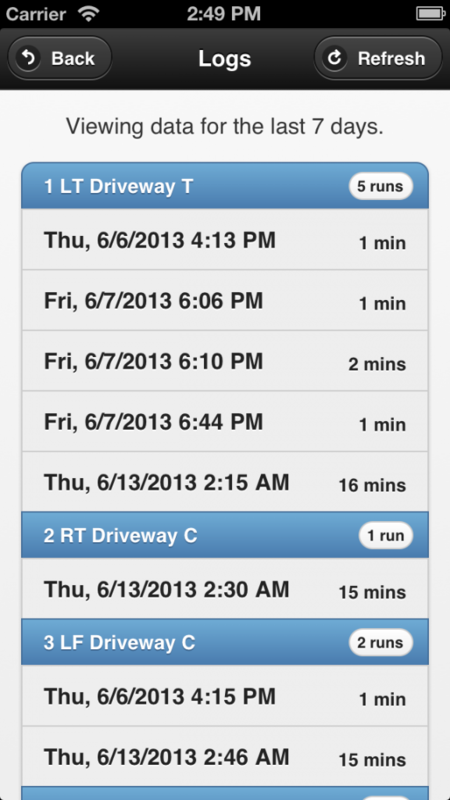 Initially I was planning to write a long post with textual instructions. 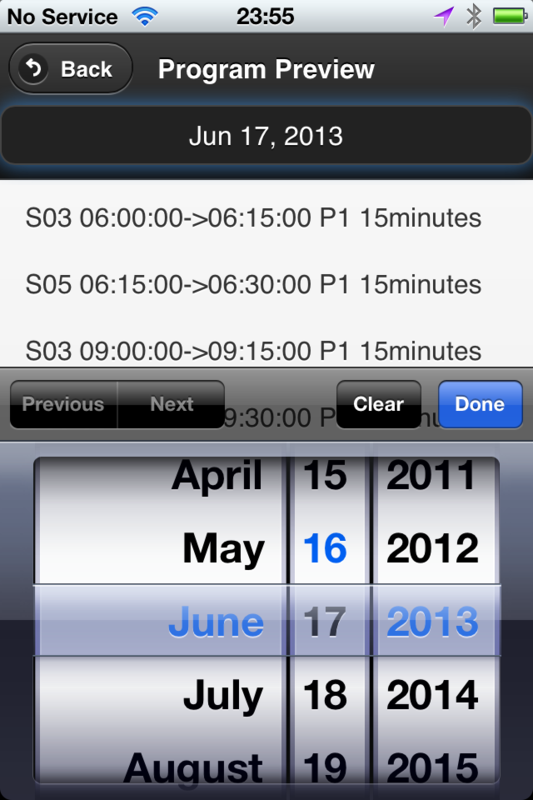 But then I felt this app is such a significant contribution that it deserves its own video tutorial. So please take a look at the video below first. As the video is already quite long, I will keep the textual information short, with only a summary of the necessary steps, download links, and pointers to resources. 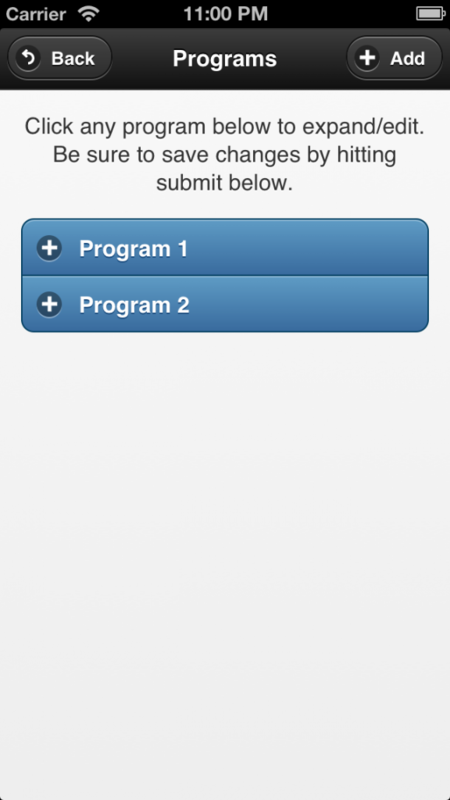 Since the app is a work in progress, feel free to leave your comments and suggestions at the Rayshobby Forum. 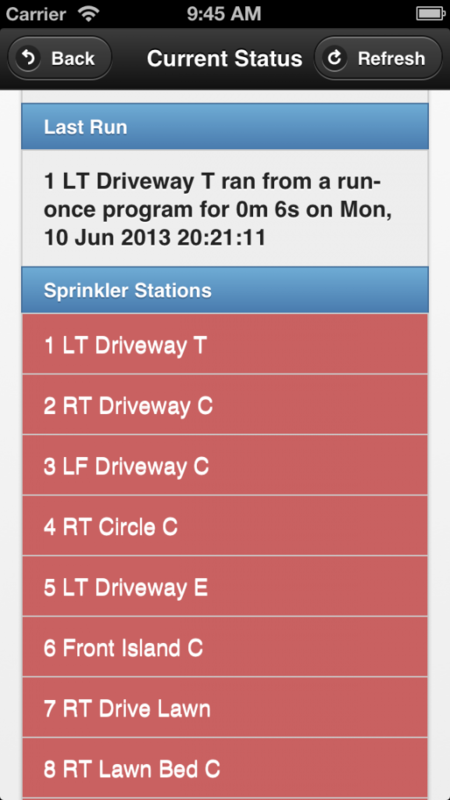 or OpenSprinkler Pi any version running Dan’s interval_program (equivalent to firmware 1.8.2). If you have OpenSprinkler 1.x with firmware earlier than 1.8.2, please follow the Firmware Update Instructions to re-flash the microcontroller with the latest firmware. Also, if you are not familiar with the concept of a mobile web app, please take a look at my previous post about the app. 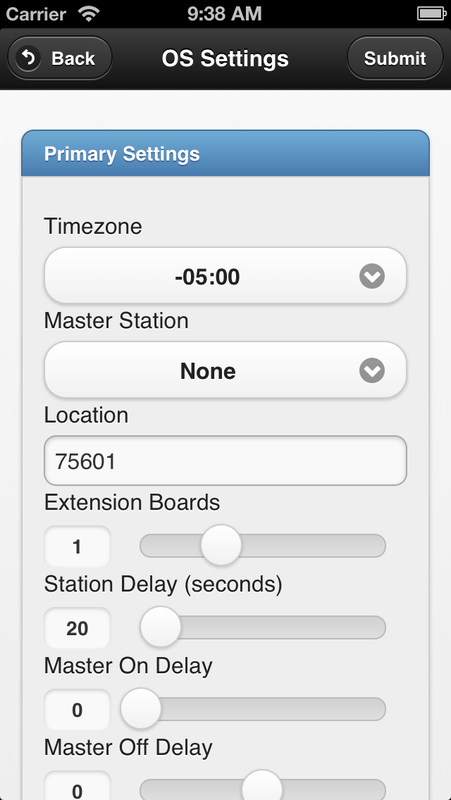 Simply speaking, it’s an app that runs in a browser. It’s somewhat slower than a native app, but the biggest advantage is that it’s cross-platform (i.e. same app runs on both iOS, Android, etc., even desktop browsers). 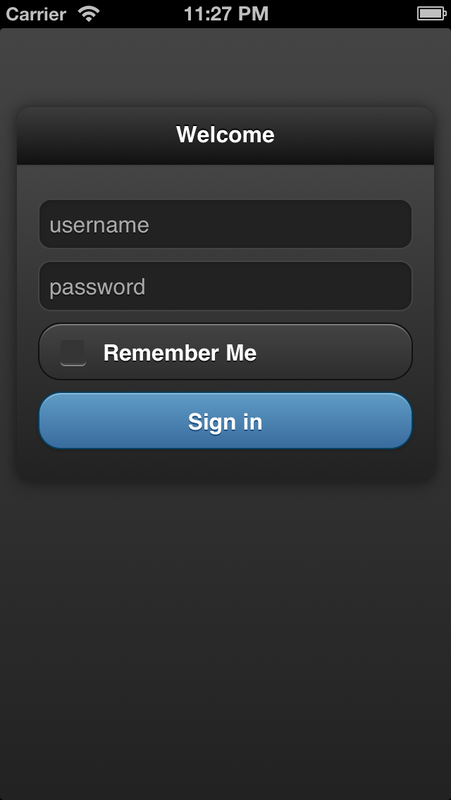 By adding the web link to home screen, the app will appear like a true native app. Type this in the browser on your smartphone, tablets, or even desktop computer, and you can start using it immediately. However, before you proceed, make sure you have port forwarding set up on your router. See below. 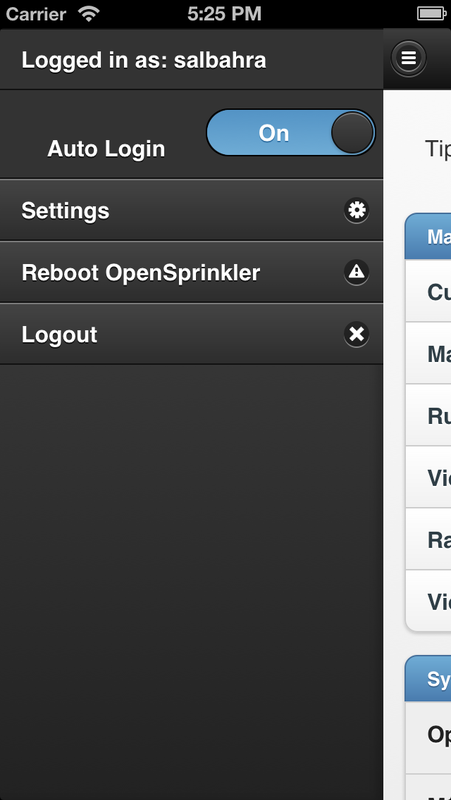 Port Forwarding: because the hosted app needs to communicate with your OpenSprinkler through HTTP commands, your controller must be accessible by the rayshobby server. 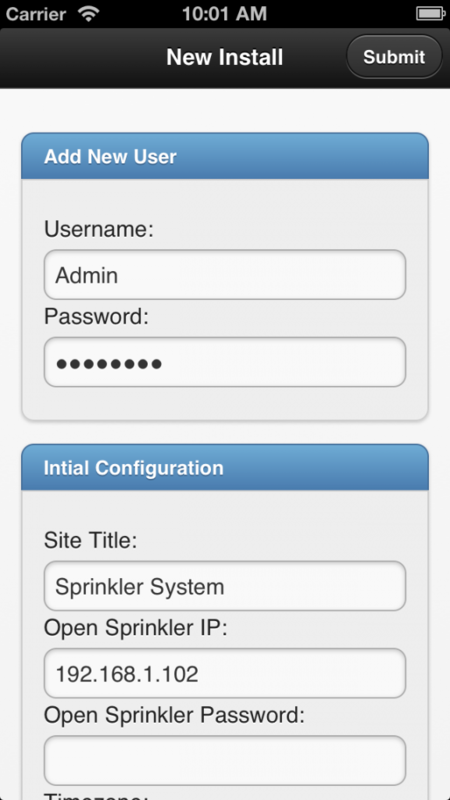 To do so, you need to set up port forwarding on your router, so that an external HTTP request to your router will be mapped to your OpenSprinkler controller. This requires knowing your OpenSprinkler’s IP address and port number (default is 80). Please refer to your router’s user manual for instructions. In addition, you can use dynamic DNS service (such as dyn.com, freeDNS etc.) to set up a DNS name for your router (i.e. an easy-to-remember name such as rayshobby.dyndns-web.com instead of the router’s IP). Most routers support dynamic DNS service as well. Add Link to Homescreen: most mobile browsers support adding (or bookmarking) a link to homescreen. This creates a homescreen icon, which you can simply click to start the app each time. 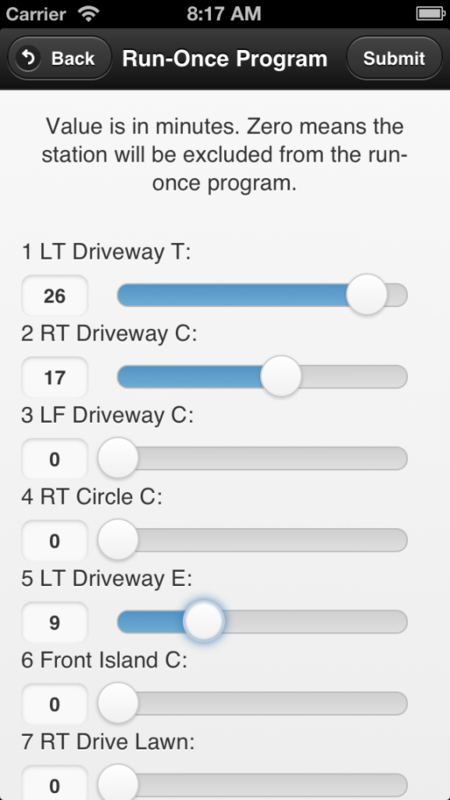 Donation: Samer wrote the app and shared it for free. I can’t thank him enough for making this app available and so polished. If you like the app, please consider donating some money to support his work. The donation link is available on the app’s ‘About’ page (accessible by clicking the control panel button at the upper-left corner of the app). Summary: to summarize, in order to use the hosted web app, all you need is to set up port forwarding on your router, and use the hosted web app’s url above. That’s it! The second version is a self-installed app that requires using a local web serer. 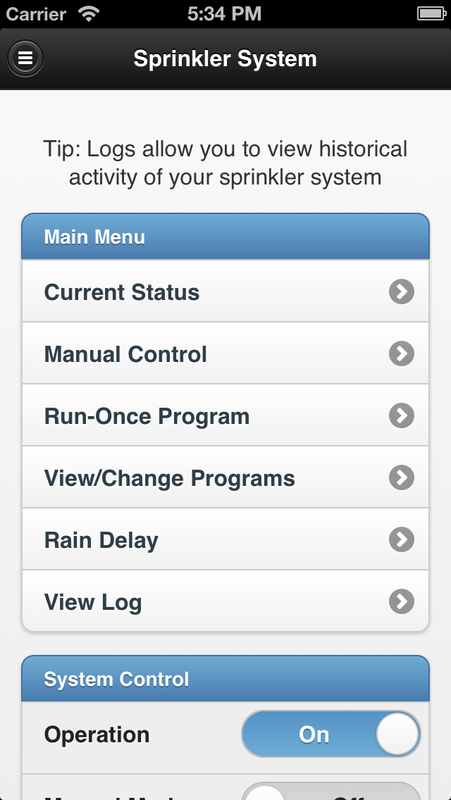 Most of the features in the second version are shared with the hosted web app above, however, by using a local web server you gain two additional features that may be very useful: logging, and weather-based rain delay. Installation: for installation, simply follow the instructions on my previous post about the web app, particularly the How to Set it Up (using Raspberry Pi as example) section. button. Clicking on it brings out the log view, which categorizes log data by station names. 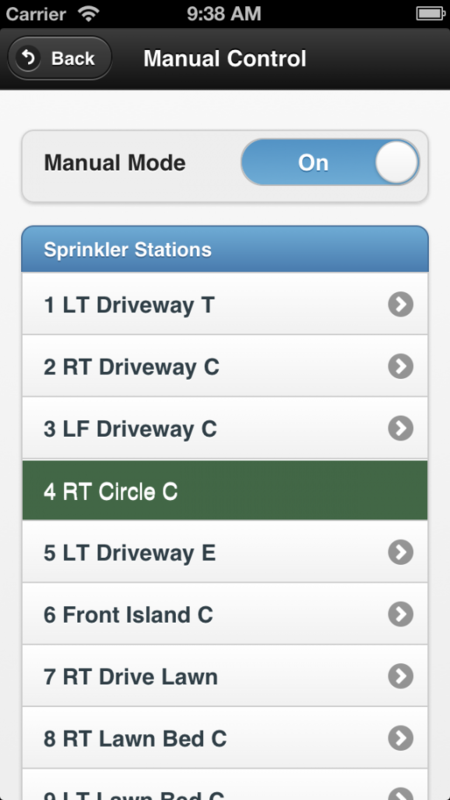 This is a work in progress, and we are planning to integrate this feature into the OpenSprinkler firmware so that in the future it will not need installation any more. We are actively working on making the weather-based control a firmware feature. If you have ideas and suggestions, please feel free to leave them at the forum. Thanks!